State Duma chairman Vyacheslav Volodin has met with PACE chief Pedro Agramunt to urge him to make the body more democratic by protecting national delegations from infringements on their rights, including the right to vote. “The fact that you, as the chairman of the PACE, intend to make the things right, to bring the number of participating delegations to 47, allows us to hope that PACE, which has at one point passed a decision that discriminates against a whole national delegation, will correct its regulations by introducing more protection for the rights of national delegations,” Volodin said, before opening his Thursday meeting with Agramunt. “This would correspond to the standards of democracy and the spirit of parliamentarism,” he added. After the meeting, Pedro Agramunt told reporters that his talks with Russia’s Duma speaker had been difficult, but constructive. 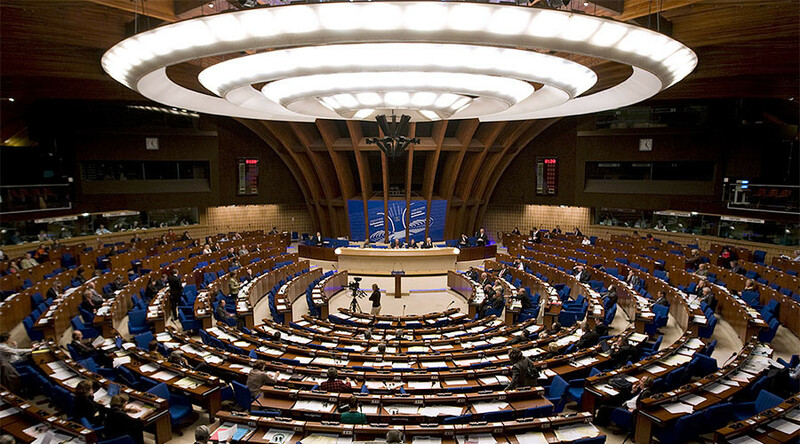 He also called the situation regarding Russia’s participation in PACE “complicated,” saying that the Russian delegation’s credentials will most likely not be confirmed by the end of January. Earlier in the day, Volodin had told reporters that he considered it wrong for Russian MPs to take part in PACE while its body’s rules allow for depriving nations of their voting rights. “Our position on this matter is clear, we have repeatedly voiced it. 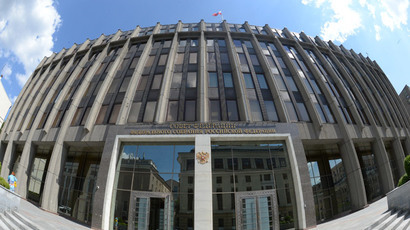 We consider changing PACE’s rules a major issue, considering that these regulations currently allow it to pass decisions depriving any national delegation of its voting rights, which is unacceptable,” TASS quoted the State Duma speaker as saying. He also ruled out Russia’s participation in PACE before its voting rights are restored in full. “It is simply wrong to participate in it today, when they are depriving us of our voting rights, which means they are depriving the whole country, all of its population, of their voting right. This is why we are calling for a change in regulations, and, after that change is made, we will discuss the issue of our participation,” he said. Russia’s relations with PACE have been strained since April 2014, when the assembly approved an anti-Russian resolution due to the political crisis in Ukraine. PACE also deprived the Russian delegation of its right to vote and banned it from participating in the group’s ruling bodies and monitoring missions. Russian lawmakers responded with a resolution stating that nations that have repeatedly violated international law and caused thousands of casualties have no moral right to judge Russia or impose sanctions on it. Russian delegation members left PACE after the scandal erupted, considering it impossible to resume discussions while the sanctions were in force. 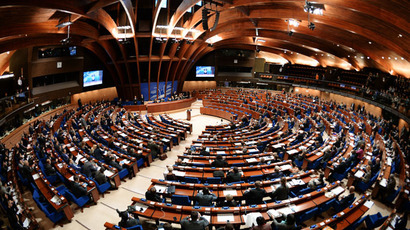 Some Russian lawmakers have already suggested that the country quit PACE and, instead, donate the multimillion-euro annual fee paid to this organization to international groups without anti-Russian bias., These steps were never taken, however, as fees paid to PACE are an inseparable part of a larger contribution in the budget of the Council of Europe.